Sometimes you come across a place that just has to be spoken about and the Garden Kitchen Newcastle is one such place. It's hard to believe that this cafe seems to be tucked away in a nondescript shopping mall in the heart of Newcastle. There again that's the beauty of discovering these kind of places. And what a joy it was too. This is an open plan affair, exposed to the elements! But this is no ordinary cafe with there being a bistro area, a bar to compliment the cafe section. If the cafe is anything to go by then I'm sure the food is as good. Just a shame I didn't get the chance to try it. On first impressions the cafe area does look at little untidy, by that I mean there are a number of different style of seats to choose from. Wooden benches to comfy sofa's. I stuck with the wooden bench as my stay would be brief. Saying that it was clean and quiet and incredibly homely for such an open plan cafe. The latte and chocolate brownie chosen were brought over by the friendly staff and I hope the picture below does it justice. The coffee was sublime and the brownie delicious. It also has free WiFi, something which seems to be a requirement everywhere these days. So what more could I ask for? Looking on their website it seems they offer so much more, hampers to said Bistro. It really is a little gem. If you are Newcastle bound and there's plenty of reasons to be what with the Rugby World Cup visiting St James' Park, Premiership football and the towns reputation for being a party city. 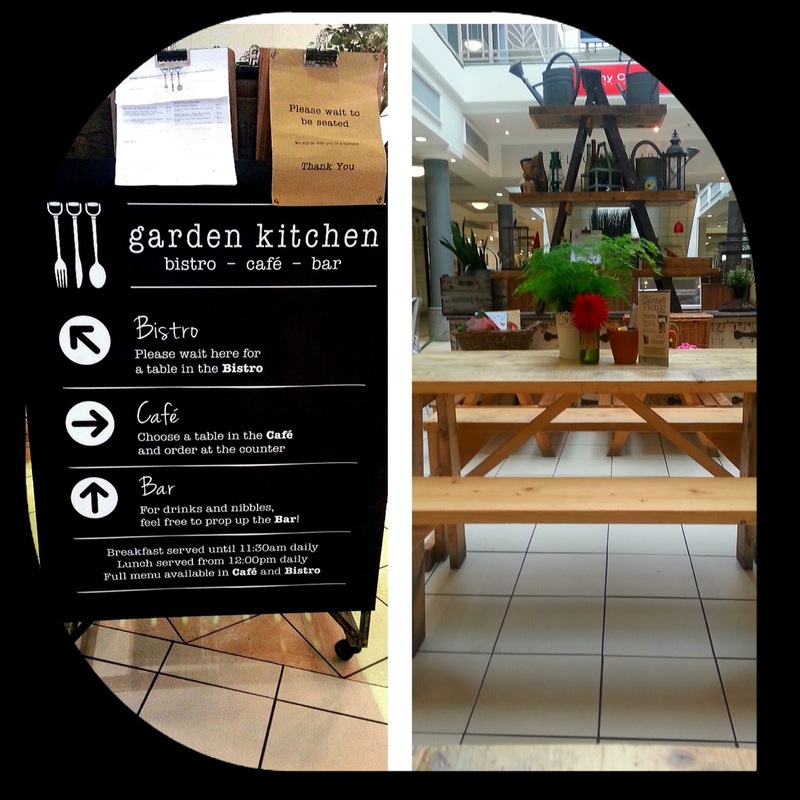 Then the Garden Kitchen Newcastle should be on your visiting list. Head into the main shopping district near Newmarket station on the Metro and into the nearby shopping centre and seek this little place out. You really won't be disappointed I promise. Have you been there? 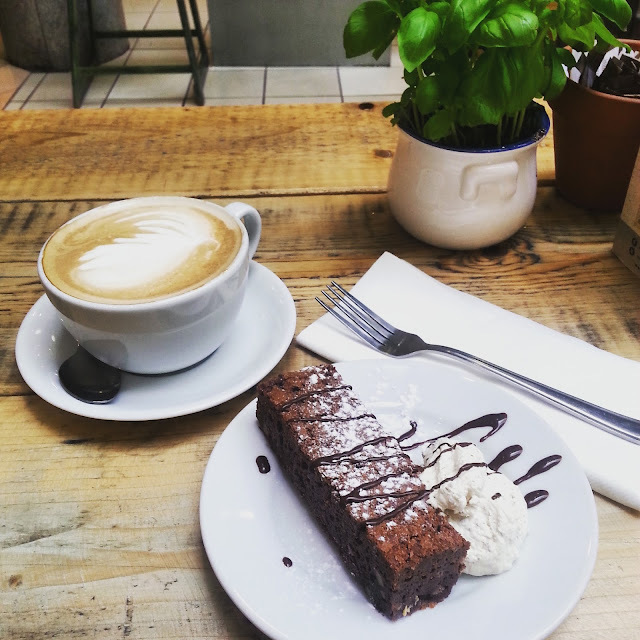 Where would you recommend I visit for a coffee and brownie? I'd love to know so drop us a comment on any of the social media buttons attached.